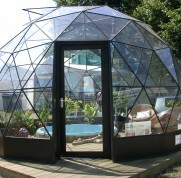 Solardome® glasshouses provide perfect hot tub, spa or plunge pool enclosures. Whenever the sun shines, your beautiful dome will heat up naturally providing you with a comfortable environment to enjoy all year round. It will protect you from the most extreme weather conditions, enabling you to enjoy your spa whenever you want and still feel like you are relaxing outdoors. 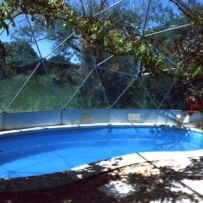 Covering your plunge pool with a glass dome with reduce heating costs and protect it from falling debris, helping keep your pool cleaner for longer. The domes provide a natural, warm, light and airy environment where you can even grow tropical plants and have a holiday experience. 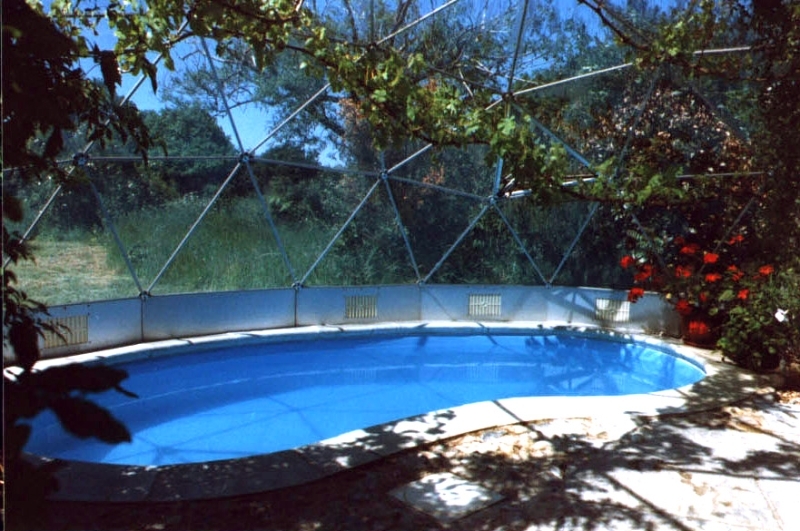 For double-glazed glass covers for larger pools, we can provide circular covers from 10m – 25m diameter, with our SOLARDOME® PRO architectural solution. 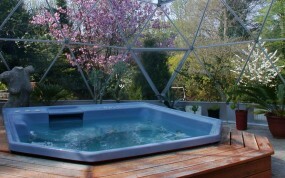 Mr and Mrs Cowan believe that their SOLARDOME® Retreat is the perfect hot tub enclosure. 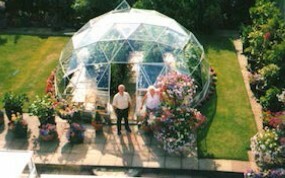 As avid gardeners, Mr & Mrs Stacey chose a Solardome® glasshouse as the perfect structure to grow a host of different plants and flowers as well as providing protection for delicate citrus trees in the winter. Imagine being able to sit out amid the trees dining with friends, reading a book, surfing the internet or even sitting in a hot tub - all year round. 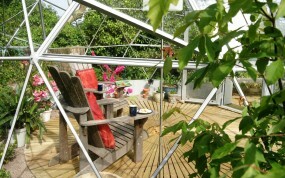 Paul and Ros Bayley chose to do just that in their SOLARDOME® Haven. 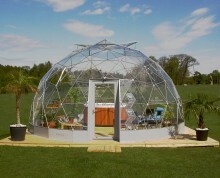 We were intrigued when we saw the SOLARDOME® Haven at the Groves Nurseries in Bridport and began to imagine all the possibilities it would offer.